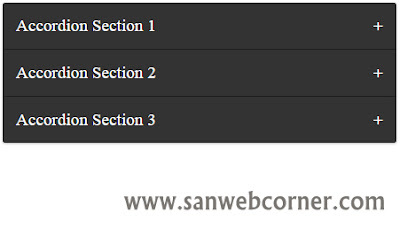 Accordion is one of the best idea to display the specific contents in webpages in different manner using css and jquery. Accordions are useful when you want to toggle between hiding and showing large amount of content in your webpage. so you can save the space in your webpage. Now a days most of them used this accordion for several purpose for example faq pages and events page and etc.